Somewhere in our apartment we have two sets of washable fabric coasters but, as the Aussies would say, most of them have gone on walkabout. Something we definitely do not have a shortage of is wood scraps, so I decided to make us some new coasters. These DIY nontoxic stained wood coasters have a cute rustic vibe that’s perfect for fall and they’re an easy way to start working with wood! 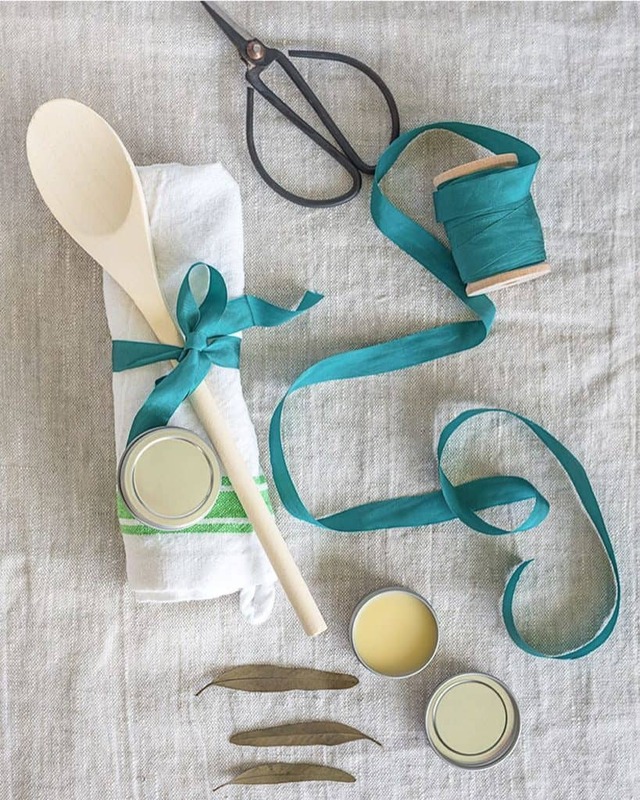 As regular readers know, finding nontoxic alternatives to ‘conventional’ products is important to me; it’s why I love chalk paint and make my own air fresheners. 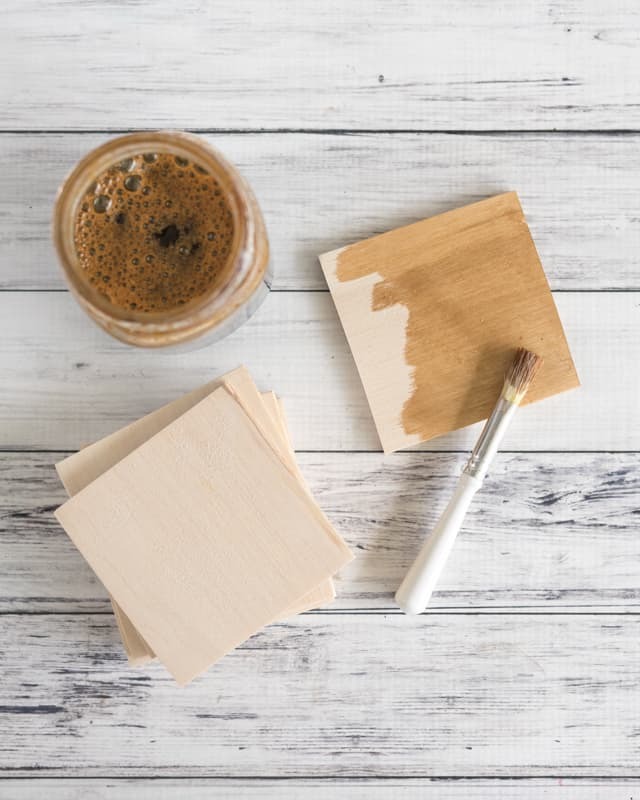 Most wood stains have some really nasty stuff in them, so I decided to read up on on DIY nontoxic wood stains and experiment! If you have a well-ventilated area and don’t mind using conventional, oil-based wood stains, then feel free to use them if you’d prefer. 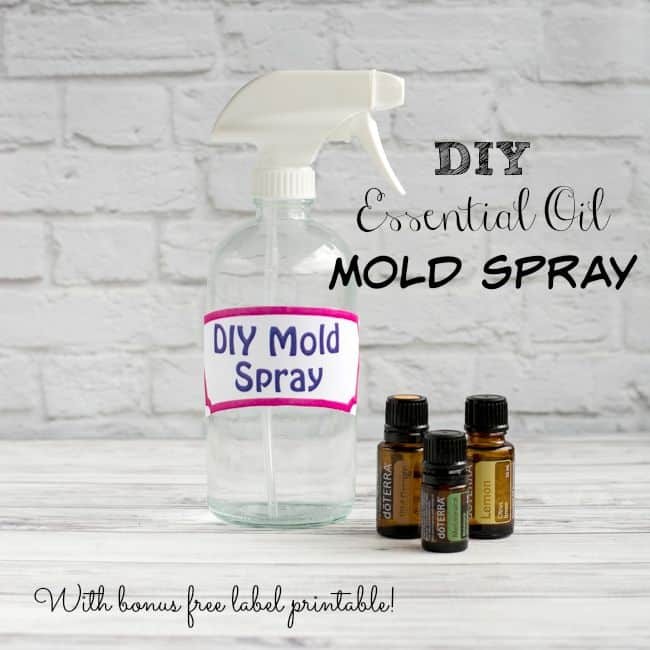 However, if you have a confined space and/or would prefer to make your own very inexpensive, nontoxic wood stain, it’s super easy! Wood! I used a 1/4″ which scrap of aspen that’s been sitting around for 2+ years. 1/4″ birch plywood would also be a good choice, as would 1/2″x4″ ‘common board’ pine. If you don’t have a table saw, circular saw, or band saw and you’re buying a new board, a thinner, 4″ board easy to work with because you can simply make cross cuts with a hand saw. If you’d prefer to use plywood, ask the store to make a cut at 3.5″ for you so you can then cut the narrow strip by hand. If you have no desire to use any saws, consider purchasing precut wood slices or something like these 3.5″ precut plywood squares. A saw. I used our tabletop 9″ band saw. If you’re using a hand saw, I recommend getting a miter box & saw. A miter box makes straight cuts way easier and helps protect your fingers! Sandpaper, if your board is rough. Felt – optional but it’s nice to cushion the coaster’s bases! Glue, if you’re using felt. I used Original Tacky Glue. The longer you allow your stain to age, the darker it will become. About a cup of vinegar and one pad of steel wool will make more than enough stain for this project. 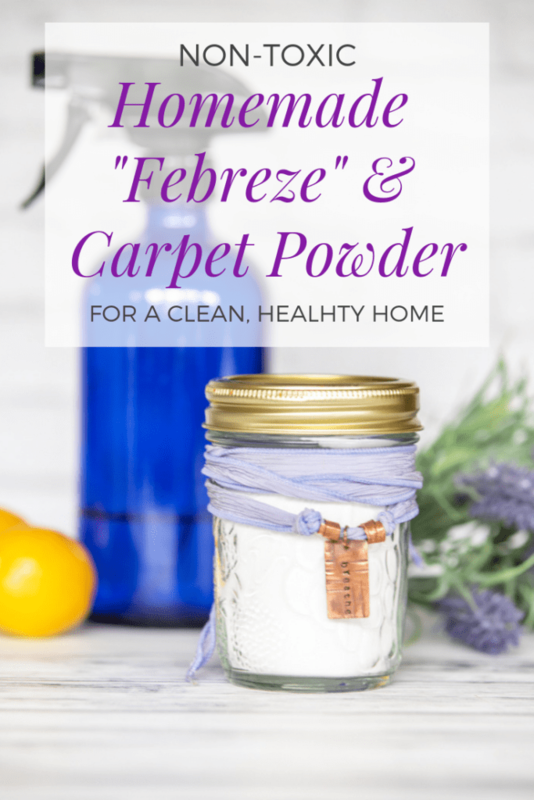 If you don’t feel like making your own vinegar stain, check out my all-natural wood polish tutorial right here! 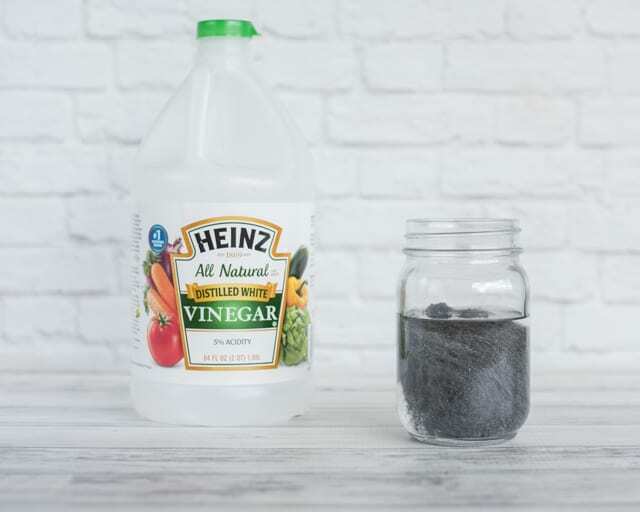 To make your stain, combine vinegar and steel wool in a glass jar I like to lightly pull the steel wool apart to encourage it to dissolve more quickly. Measure and mark your wood where it needs to be cut. 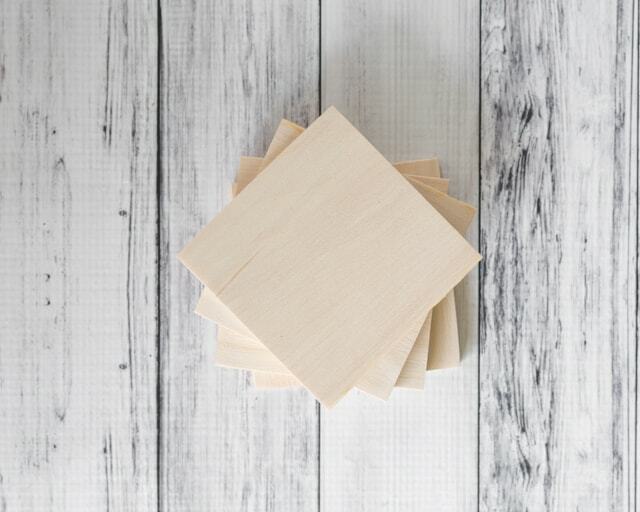 If you purchased a 4″ board, see how wide it really is and make your marks so you’ll end up with square coasters. 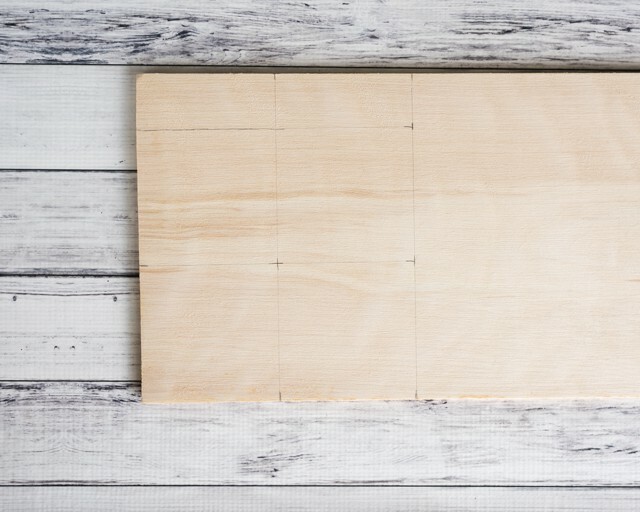 If you’re cutting a thin board or piece of plywood, mark off 3.5″ squares. If you’re using a power saw with a fence or built in ruler, this may not be necessary, but I like to go ahead and mark the board, anyway. My husband is a big fan of the saying “Think three times, measure twice, cut once” and I’ve definitely messed up a few things by not measuring twice! Carefully cut your wood, then sand, if necessary. You may want to only sand the cut edges and leave rough spots on the faces for a more rustic look – it’s up to you! When your stain is ready, apply a fairly thin, even coat to one face and the edges. Allow the stain to dry, then stain the opposite face. If you’re using an aged, natural stain with vinegar the color may deepen and develop as it dries. 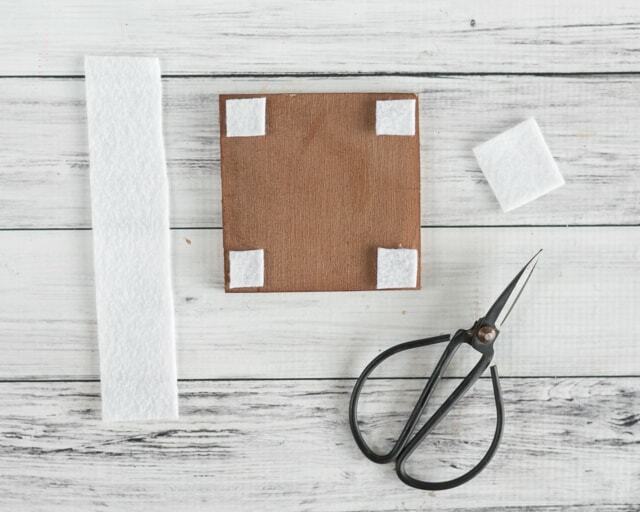 Once the stain is completely dry and you’re done staining, measure and cut squares of felt so they’re slightly smaller than your coasters. Glue one pice of felt to each coaster, then press under books to make sure the felt lies flat. Make sure not to use too much glue or it will leak out and/or you’ll end up with funny lumps under the felt! Enjoy your awesome new wood coasters! You can also decorate them with paint, wood burning, or vinyl if you want to add a little ‘something more’ to your project. 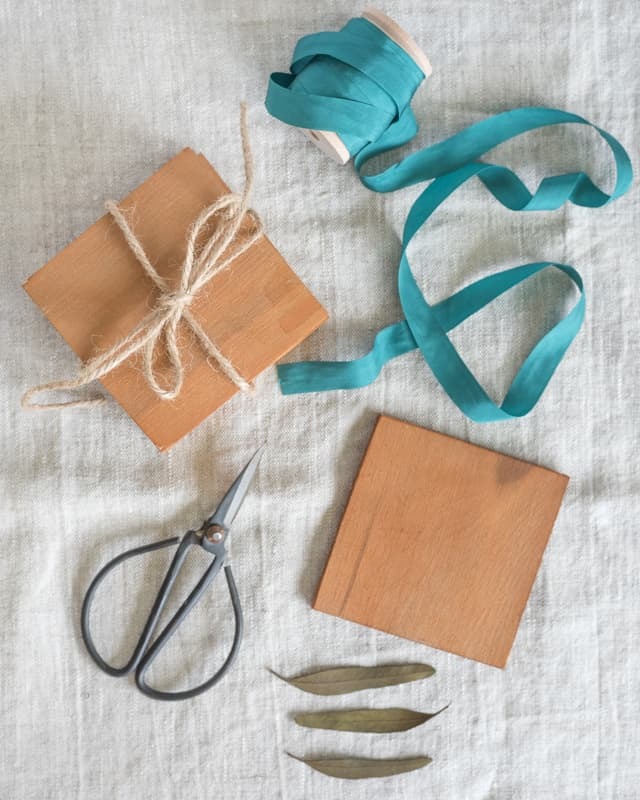 And wouldn’t they make a cute homemade gift for the naturally-minded person on your gift list? 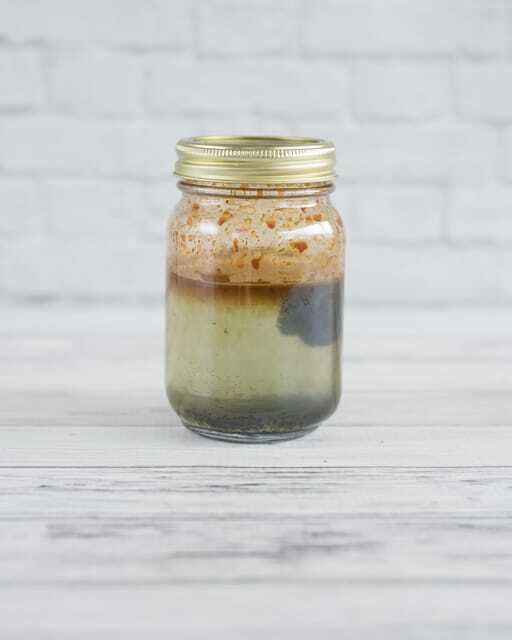 Have you ever made your own wood stain? What did you use? Vinegar, coffee, tea, something else? Wonderful organic look (and actually organic) coasters! Simple look; I love it!